Something has really been bothering me lately. 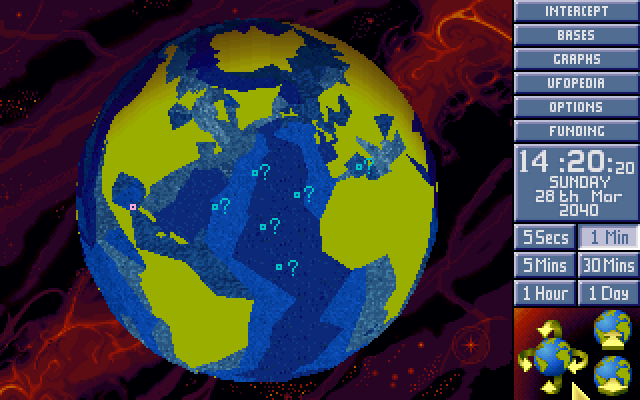 Where on Earth is the X-COM base? We have far too many leads to search every single one. 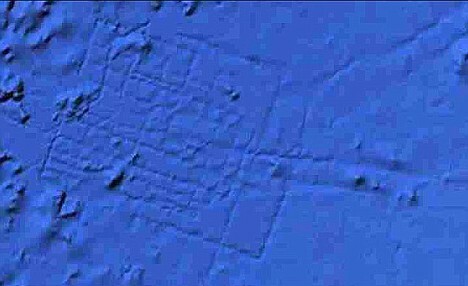 We now suspect that the X-COM base is a neutrally buoyant structure, capable of sinking or floating as need be in the ocean. Without a solid lead we'd never find it, so I concocted a plan to get that information - from living X-COM agents. 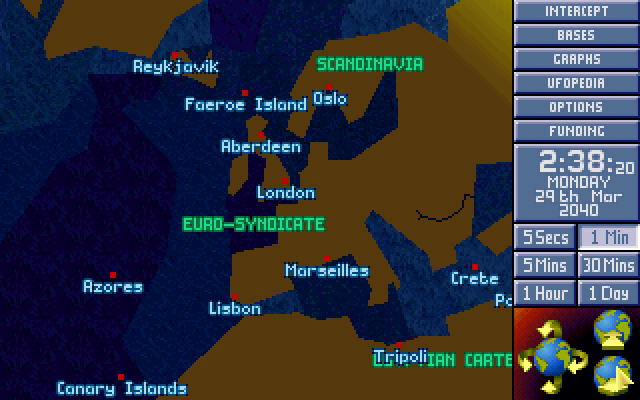 In preparation for a new colony base we've been conducting operations over the area known as Europe. The plan is to send some of our Gill Men to terrorize one of the population centers. We suspect that even attempting to send our craft over to Europe will result in them being shot down; which in this case is exactly what we want. The capture of several X-COM Thermal Tazers gave us an idea on how to expand upon this weapon. The main drawback of the tazer design was the need to be in melee combat range. 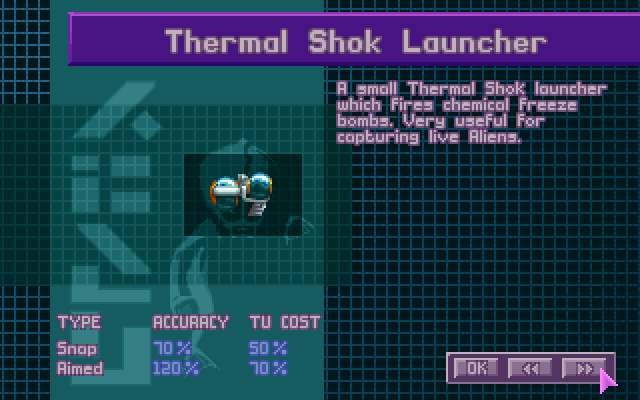 Our Thermal Shok Launchers are ranged weapons, and even have a blast radius. We've only constructed two prototypes but we believe that is enough to capture an entire X-COM squad alive for interrogation. And if that wasn't enough, we have another new weapon at our disposal. The success of the Lobsterman form drove me to modify other local creatures for combat use. 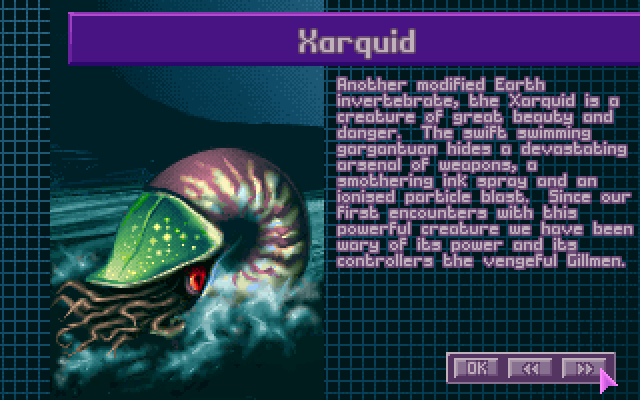 The plastic shell the Xarquid inhabits is difficult to make, but we believe the effort spent on construction will be worth it. If shot down, our soldiers have been instructed to fire with lethal weapons only in self-defense. We must capture the XCOMs, even if it means losing Gill Men. Results: Minor victory for the Aliens. I think I only fired six shots all game too! Zyla escapes groggy, but alive. Everyone else captured alive. Unspeakable atrocities will most certainly be performed upon them. Gauss Cannon researched. This doesn't mean a lot to the Barracudas but it does mean you guys now have a useful tank for above water missions. Coelacanth/Gauss now available for use.